We all want those pearly white teeth and oral health that keeps us out from underneath the dentist’s knife. While genetics can often spell good versus bad oral health, your environment can have just as large of an effect on our oral health. In fact, some pieces of food are so bad for your teeth that you should do your best not to eat them. Here are six foods that are terrible for your teeth. Lemons: Lemons are highly acidic, and highly acidic food can weaken the enamel on the teeth. Lemons are the most common acidic foods out there, but pickles, tomatoes, and coffee are also acidic and you should use caution on how much of these you eat. Hard candies: hard candies are filled with sugar, which can cause cavities. These cavities are helped along by chewing on the hard candy, which can weaken the teeth. Caramel chews: caramel chews are soft, chewy, and sticky and filled with sugars. They often sit on or between the teeth, where the sugar can help wear away the tooth, causing damage like cavities. Alcohol: alcohol is on this list because it dries out the mouth. The dryer the mouth, the less plaque and key minerals present in the mouth, which can cause a buildup of bad bacteria that can wear the teeth down. Canned Fruit: while there are some canned fruits that only use the fruit’s natural sugars, many come with added sugar in them. This added sugar can wear down the enamel on your teeth. Popcorn: popcorn, particularly the unpopped kernels, can cause a lot of damage to teeth, particularly when they become trapped in between teeth or you chew on the hard ones. Most of the time, the teeth can handle it, but too much overtime can cause damage to the teeth. While these foods can be harmful to your teeth, it doesn’t mean that you should never eat these. Many of these foods are delicious and have other benefits for your body. You can continue eating these on a moderate basis and get great dental care to help. 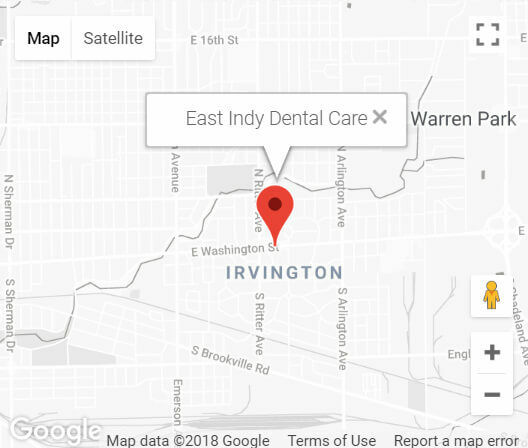 If you are in Indianapolis, call the great dentists at East Indy Dental Care to get a professional teeth cleaning. They provide affordable care that can keep your teeth shining and your oral health excellent!